Gru has minions and he has thousands of them. 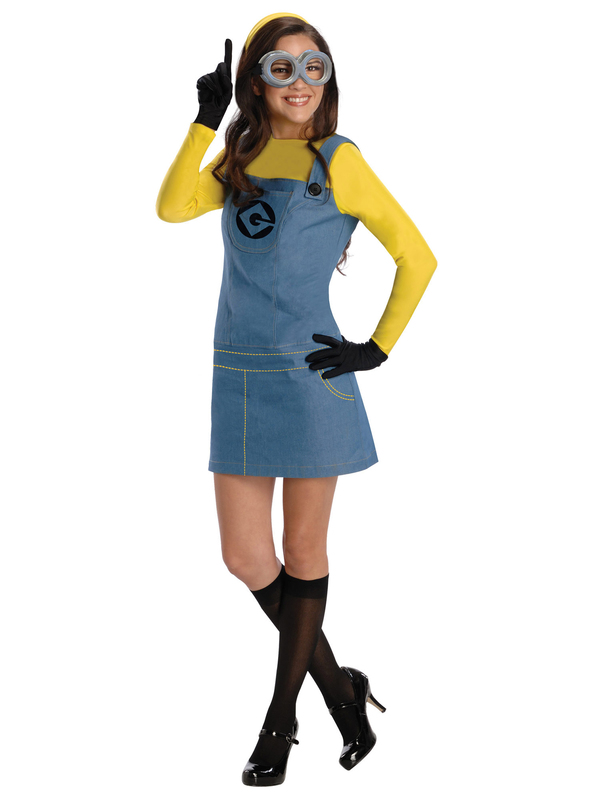 But you can be one of them with our Women's Despicable Me Minion's Costume Adult. This officially licensed ensemble includes a dress, gloves, headband, goggles and knee socks. The blue overall dress comes slightly above the knee and features a faux pocket on the torso that displays the symbol of Gru's minions. The bright yellow shirt is attached to the dress. A matching headband gives this minion costume a cute look. Goggles, black knee highs and matching gloves complete this lady minion costume. All you need to help Gru execute his mission. So this Halloween, gather a group of your loyal friends and seek out to serve the most despicable master you can find in this fun loving Women's Despicable Me Minion's Costume.